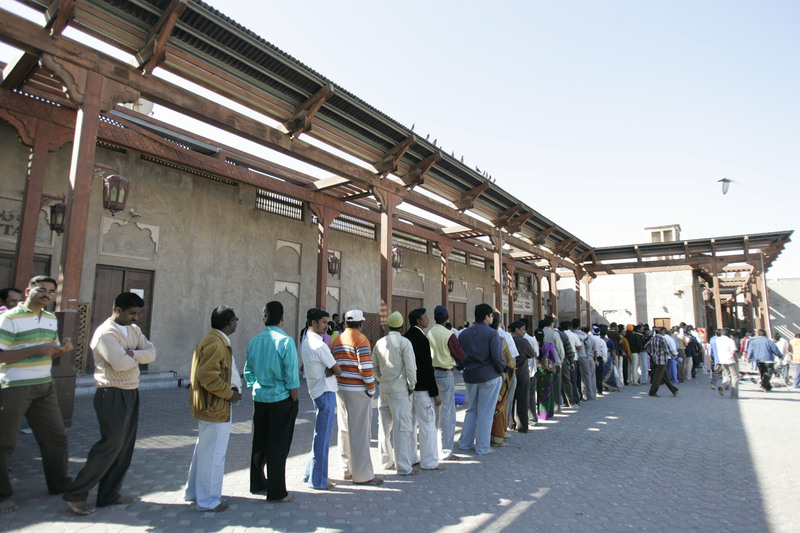 An estimated 250,000 Sri Lankans live and work in the UAE. Currently, the UAE is Sri Lanka’s eighth largest export partner. From food and culture, to special symbols and sports, we look at all you need to know about Sri Lankans in the UAE. Dubai: They make some of the spiciest food in the UAE. They revere elephants so much in their country that killing these gentle giants results in the death penalty. They are one of the world’s largest exporters of tea. Their small island nation boasts eight Unesco World Heritage Sites. Welcome to the ‘Pearl of the Indian Ocean’ — Sri Lanka. Over 250,000 people from this island, off the coast of south India, have made UAE their home since the early 1970s. We explore this community, take a look at their vibrant heritage and culture, and discover how they form an important part of UAE society. Sri Lanka has a long, rich history that can be traced back to the Stone Age - 125,000BC. The country has had Indian, Portugese and Dutch influences and became part of the Commonwealth in 1948. In 1972, the nation became a republic, with the new government changing the nation’s name from Ceylon to Sri Lanka. According to commonwealth.org, after independence, the Sinhalese became the dominant social and political force and the Tamils felt marginalised, especially after 1956, when Sinhala became the official language. Several different Tamil parties formed and demanded an independent homeland. Anti-Tamil riots led to the death and displacement of hundreds of Tamils. The Liberation Tigers of Tamil Eelam (LTTE) was formed in 1976 in response to growing tensions between Tamil and Sinhalese communities. But while Sri Lanka deals with communal issues, Consul General Charitha Yattogoda said Sri Lankans in the UAE continue to share a harmonious bond. We have a long history with the UAE; in fact from olden days, there have been a lot of Sri Lankans here. More than for trade, people came here for employment purposes. Sri Lankans live and work in the UAE. An estimated 250,000 Sri Lankans live and work in the UAE. Skilled Sri Lankans work across professions, and those without formal higher education, come to the UAE to work as domestic help. As thousands of Sri Lankans have made UAE their home, it has created opportunities in trade and business as well. Currently, the UAE is Sri Lanka’s eighth largest export partner. But the country’s exports are no less significant. The cinnamon in your kitchen cupboard, for instance, might have journeyed to you from Sri Lanka, which is known as ‘Spice Island’ for a reason. The country is the world largest producer and exporter of cinnamon to the world. See their other top exports below. Because of the high demand for Ceylon tea in the UAE and the Middle East and North Africa region, the Consulate General office in Dubai houses a special Tea Promotion Unit, as part of the Sri Lanka Tea Board. If you are looking for a meal that is mild in its flavours, Sri Lankan cuisine is not for you. The nation is known for its spicy, coconut-based food. When you ask someone, ‘what is unique about the Sri Lankan cuisine?’, the first response is the spice level. “We mainly use red chilli flakes, black pepper, cloves, cinnamon and cardamom,” said Dhammika Gamage, a Sri Lankan national and commercial director based in Dubai. 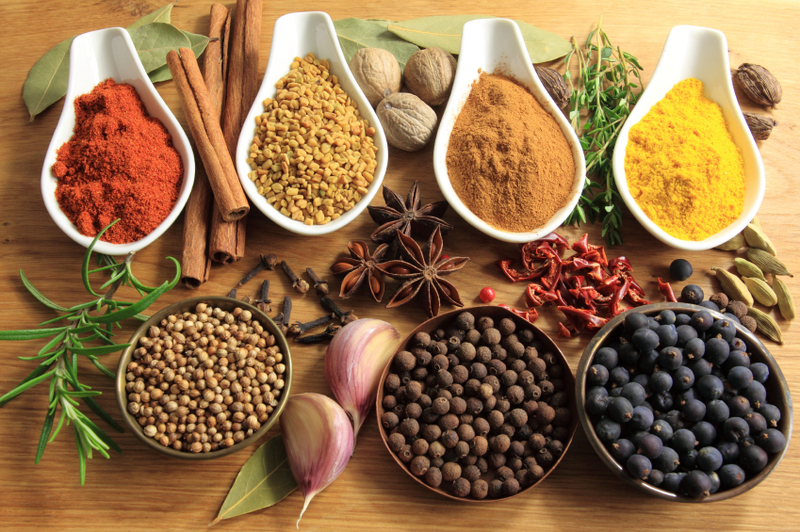 Apart from that, some of the other ingredients used are curry leaves, ginger, turmeric and nutmeg. Making liberal use of these spices and coconut, the Sri Lankan cuisine has an abundance of dishes. Rice is a big part of their cooking, too. A simple dish of ‘rice and curry’ is the most common meal, and the island is famous for growing several varieties of rice. At one point, over 400 different varieties of rice used to grow all over the country, according to Sri Lanka-based Nipuna Rice Products. 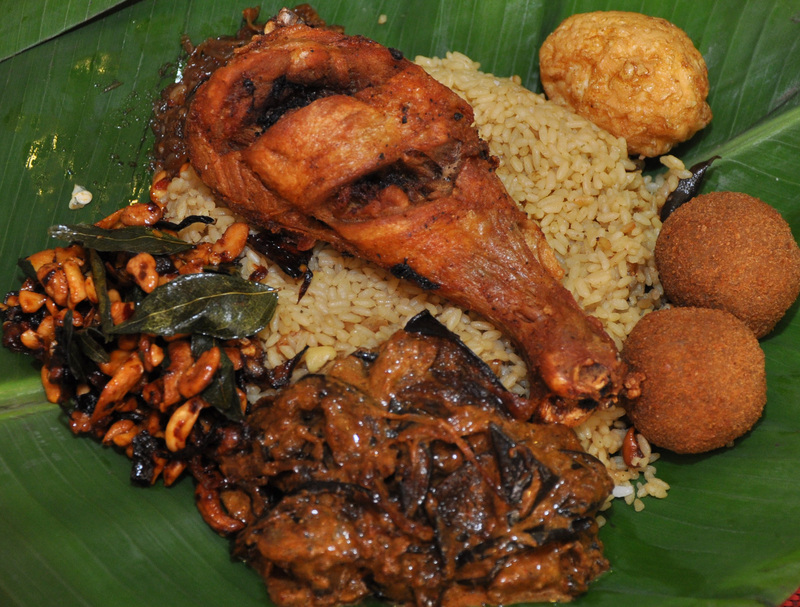 The country boasts a multi-layered cuisine contributed to by the Buddhist, Hindu, Christian and Muslim communities, but each of them also has extremely unique flavours and preparations. We take a look at a dish unique to each community. Buddhist community: A traditional meal amongst the Buddhist community is incomplete without rice. And it is usually accompanied with spicy curries and cooked vegetables. A lot of coconut milk is also used in their food, but that is common amongst the four communities. A unique meal is a vegetarian one: Kiribath, or milk rice. It has been passed down generations and is still being made in their households. This simple yet popular dish is made of rice and coconut milk and is shaped like a cake, and is commonly consumed for breakfast. And even this is incomplete without a side of hot chilli paste. Another dish that is commonly consumed is hoppers. In their simplest form, hoppers are bowl-shaped pancakes that are made from fermented rice flour and coconut milk. They are cooked in small round pans and tend to come out crispy at the edges. Some prefer to eat it with an egg cracked and cooked inside the hopper. Hindu community: String hoppers, dosa (savoury rice pancake) and vegetable curries are some of the common dishes consumed by the Hindu community. Sounds a lot like the food served in the southern parts of India? That’s because it is quite similar, says Mohan Doraisamy, a Dubai-resident. The leaves are sour in taste and high in vitamins, minerals and anti-oxidants. Muslim community: While Sri Lankan food is quite spicy, this community has a unique sweet dish. Watalappam, a steamed jaggery pudding, is a famous dessert and according to Dubai-resident Shabir Zain Al Deen, a Muslim festival or wedding is incomplete without it. The dish might have originated amongst the Sri Lankan Malays, according to Al Deen, but over the years it has been perfected by the Muslim community. 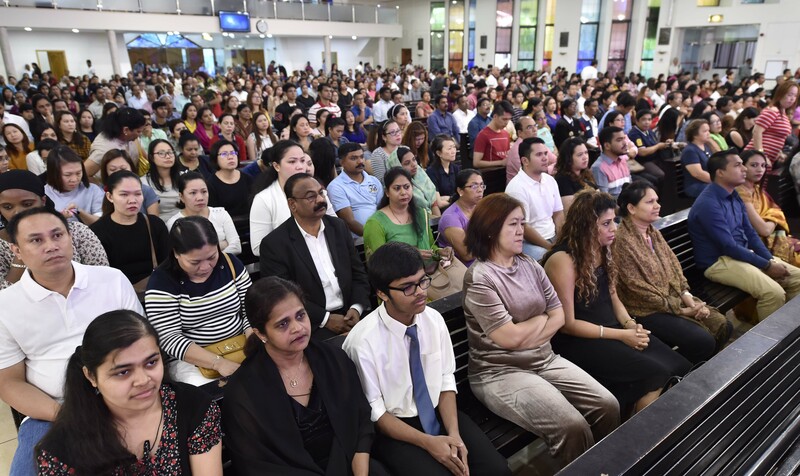 Christian community: A lot of the food consumed by this community has its roots in the Dutch Burgher community, an ethnic group of mixed Dutch, Portuguese and Sri Lankan descent. 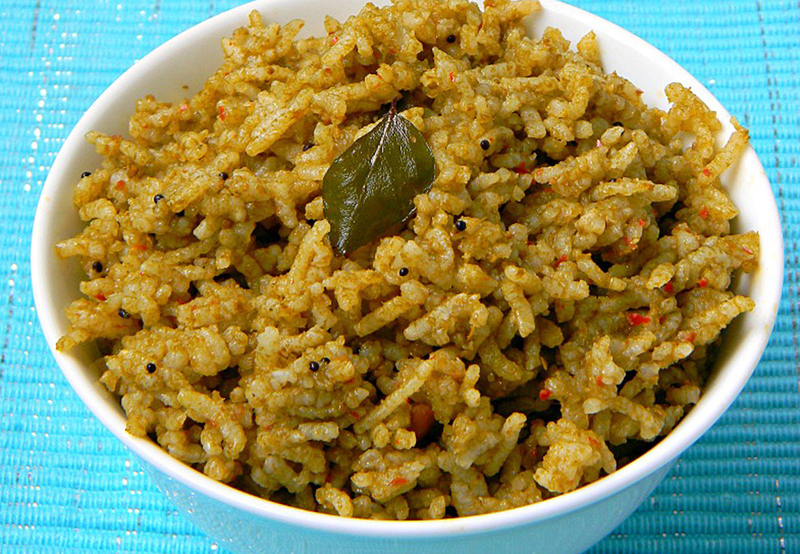 Lamprais, or lump rice, is one such dish, a delicacy that is quite popular within this community. Suren Swaminathan, a business owner based in Dubai, is amongst those who prepare this at home quite often. Another dish he highlights is Bibikkan, or coconut cake. Ceylon tea: If an aromatic cup of tea is what you need to kick start your day, the Sri Lankan Ceylon tea would be ideal. Did you know that Sri Lanka is the fourth largest producer of tea in the world? That’s not it, they are also the second largest exporter of tea. Around 20 per cent of the teas sold around the world come from Sri Lanka. Yattogoda explained that Sri Lanka has been cultivating tea for many years and mainly due to the climatic conditions in the country, they produce “very good quality tea”. 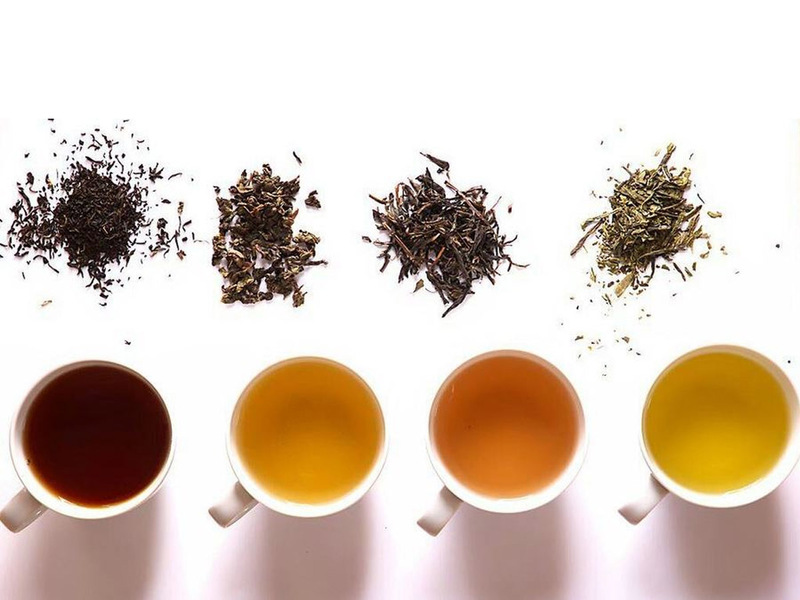 Tyronne Nugera, restaurant manager at Chef Lanka Restaurant in Dubai, added that there are so many different varieties of tea within the country, but only the best is exported. How to brew the perfect cup of Ceylon tea? Dilmah is Sri Lanka’s most recognised international brand of tea. On their official website, they explain that for the perfect cup of Ceylon tea, use 2.5g of tea per 220ml of water. Preheat the teapot and cups by swirling around some hot water in them and pouring it out before brewing. After pouring the boiled water into the cup, stir to agitate the tea and allow proper extraction. Black tea should be brewed for three minutes, stirring upon adding water, again a minute later and finally before serving. Oolong and green tea could be brewed for two minutes. Avoid over-brewing. The best temperature at which hot tea should be drunk is around 65C. Milk should only be added to a strongly brewed black tea. Sri Lanka has seven languages. Sinhalese is the main official language of Sri Lanka. Tamil, is the second official language of Sri Lanka and English is the de facto national working language, used in government documents. Within Sri Lanka, there are four main faiths that people practice. Majority of the population, 69.3 per cent, practices Buddhism as stated by the Pew Research Centre’s Religion and Public Life Project. Hindus account for 13.6 per cent, 9.8 per cent are Muslims and 7.3 per cent are Christians. The freedom to choose and express religious affiliation is guaranteed under the Sri Lankan constitution. However, the social landscape is set as such that most citizens tend to show an association between ethnicity and religion. According to The Cultural Atlas, an Australia-based collaborative project that aims to educate the public in cultural practices, the Sinhalese majority generally follows Buddhism, those who identify as Hindus tend to be ethnic Tamils, the Muslims are generally Sri Lankan Moors and the Christians are typically Burghers. That being said, identifying with a particular religion is not necessarily connected to one’s ethnicity. The presence of four such diverse religions in such a small geographical proximity has resulted in a significant blurring of boundaries in places. Followers of all four religions often visit each other’s festivals and places of worship or pilgrimage. That’s not all. They are always ready to help each other in times of a crisis. 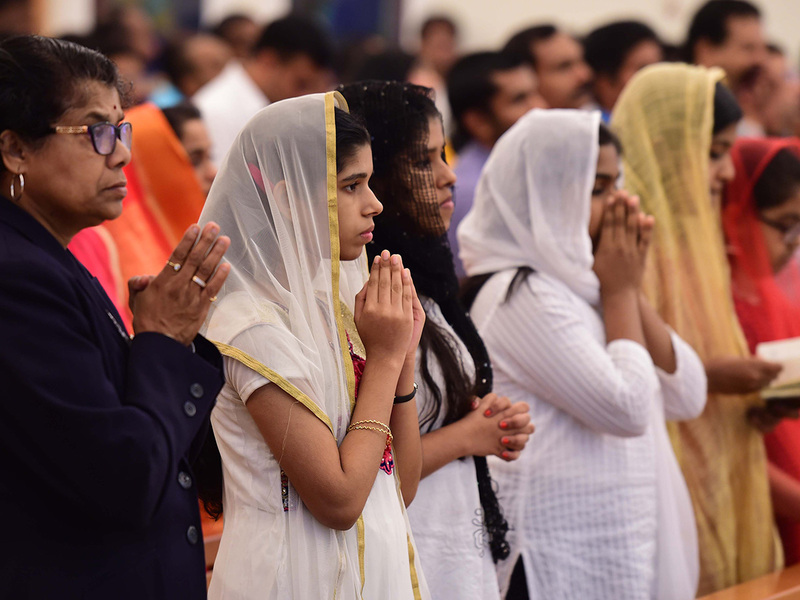 In the UAE, Sri Lankan nationals of the four faiths are able to practice their religion with ease. There are places of worship to cater to each community. For the Buddhists, the Mahamevnawa Monastery is located in Dubai’s Jumeirah 1 area, the Hindus can visit the Shiva Temple in Bur Dubai, whereas the Christians specifically visit the St. Mary’s Church in Oud Metha, Dubai or the St Francis of Assisi Church in Jebel Ali. The Muslim community chooses to pray at any of the mosques located within the areas they reside in. While talking to Dubai resident Dhammika Gamage about the different festivals in Sri Lanka, you could almost hear the smile in his voice. “All Sri Lankan people love to celebrate occasions,” he said, and excitedly spoke about the customs in each one. Sri Lankan people are “easy-going” and there is a sense of camaraderie between people of different religions, and this could be heard in the way Gamage spoke about the main festivals of other Sri Lankans. The country is rich in culture and heritage, and is known for their many festivals. The Sinhala and Tamil New Year is an important occasion, and it marks the beginning of the Lunar year. It is celebrated by most Sri Lankans, both Buddhists and Hindus. It usually falls on April 13 or 14, every year. Malinga Fernando, a Sri Lankan Buddhist and resident of Dubai said: “The first day is spent in saying prayers and visiting the temple. Every member of the family tries to be religious.” He said: “We make a traditional dish called kiribath, which is made from milk and rice for the occasion.” People decorate their houses; make traditional sweets, and presents are exchanged between family and friends. Sri Lankan festivals are colourful affairs and are celebrated with pomp and splendour. Vesak is a religious festival celebrated by Buddhists and it marks the birth, enlightenment and death of Gautama Buddha. It is also known as the festival of lights and takes place in May. A large open sided temporary pavilion, known as a ‘pandal’, is also used during this occasion, along with lanterns. 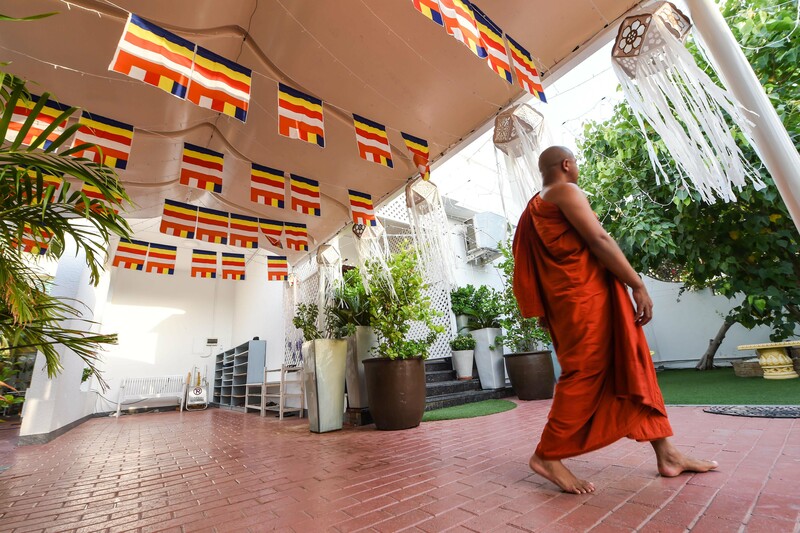 Dubai resident Dhammika Gamage said that in Sri Lanka, every full moon day of the month is observed as a holiday so that Buddhists can meditate and pray. 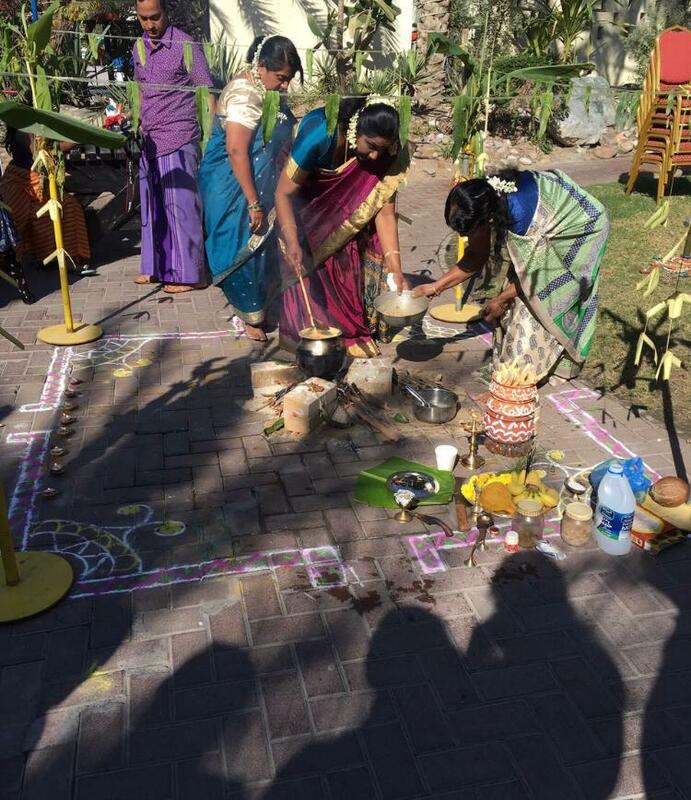 In Dubai, Sri Lankans visit the temple located in Jumeirah and offer precepts on the holy day. Celebrated by Sri Lankan Tamilians, Thai Pongal is known has the harvest festival and takes place in January. The festival pays tribute to the Sun deity and is celebrated to thank him for his blessings and the harvest. For Sri Lankan Muslim, Muhsin Mohammad Firaz, the month of Ramadan and Eid are important occasions for him and his family. 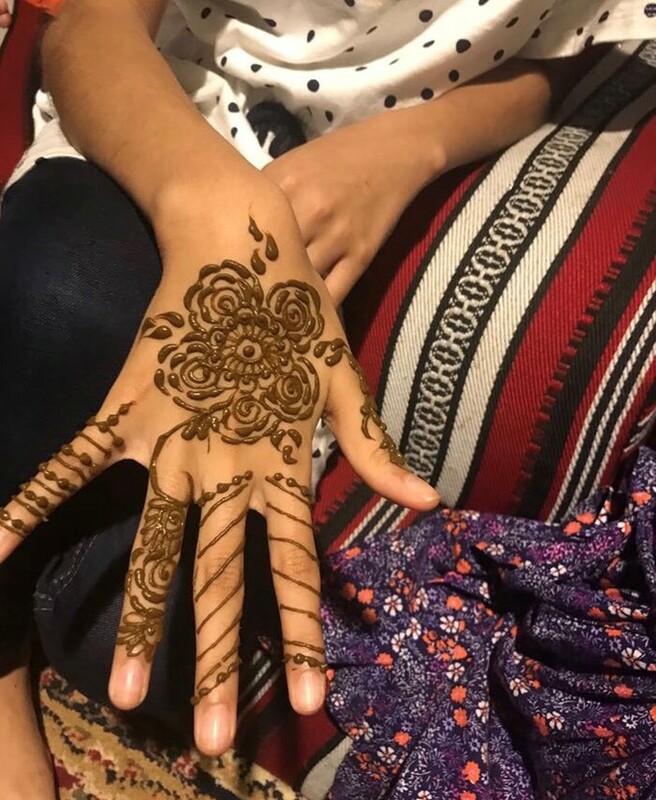 The Sharjah resident told Gulf News: “During Ramadan we fast for 29-30 days and spend time with family.” Eid marks the end of the fasting and is followed by a feast with the family and gift giving. “Muslims increase their self-belief and share their wealth with those in need. “there is a sense of togetherness and happiness with being together. Last but not the least, Sri Lankan Christians celebrate Christmas and Easter, which are big events in their calendar. Christmas is celebrated by putting up a tree, being with family and exchanging presents. Easter is celebrated with prayers, Easter egg decoration and spending time with family. While different religions have their respective festivals, Sri Lankans have a few common occasions where they come together as a community and celebrate. Independence Day is held on February 4, where the Sri Lankan flag is hoisted and this event takes place at the Sri Lankan consulate, here in the UAE. The Island nation is diverse and Sri Lankan people have many traditions that have been passed down generations. One such tradition is oral literature, which started as early as the fifth century. Sri Lankan writers were recording historic and religious stories and some of these are orally passed down to children till today. Pottery and basket weaving is another popular tradition in some areas and these handicrafts serve as decorative pieces. Ask a Sri Lankan what the most beautiful thing about their culture is, and they all seem to love one thing. The culture of treating people with respect. Sri Lankan saris are beautiful. They are very different from the more popular Indian saris. There are different ways men drape the sarong depending on where they hail from. On formal occasions, the Tamil men wear a white shirt with long flowing tails accompanied by the angavastram, a flat and narrow-folded shawl. Traditionally it was worn round the waist with the ends brought up over the shoulders to cross so that the two ends fall in front, over the shoulders. It is worn with an oval cap in blue, black or red velvet or a coloured turban. First, you hear the rattle of anklets. Then, a clatter of bangles, a pounding rhythm. When the lights go on, human beings in colourful, flowing robes transform into peacocks and elephants. 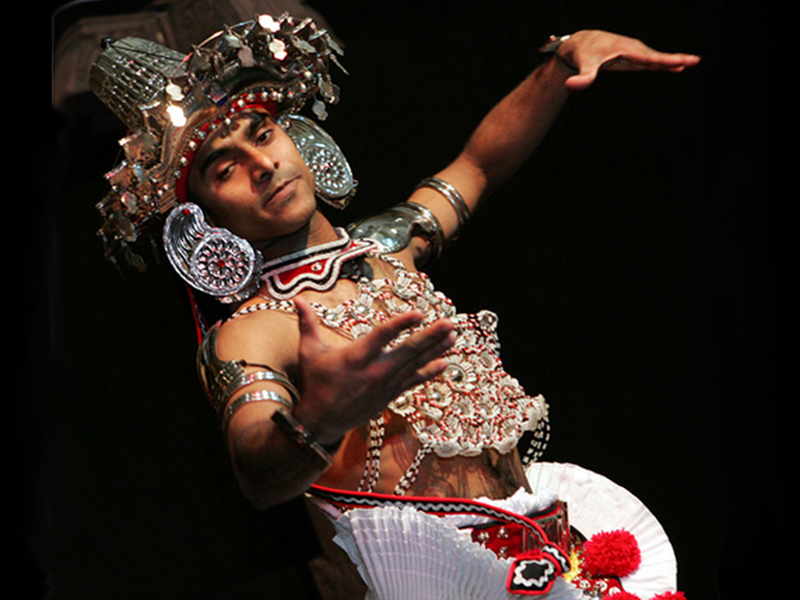 This is the Kandyan dance, Sri Lanka’s national dance, and considered its greatest cultural export. The dance form mimics the movement of animals, and was almost lost during the period of British rule. But Sri Lankan parents in the UAE are trying to ensure future generations don’t forget the highly disciplined dance form. Here, before getting into choreography, dance teachers first have to introduce children to the Sinhala language, and the story behind the dance, for them to fully understand and appreciate it. 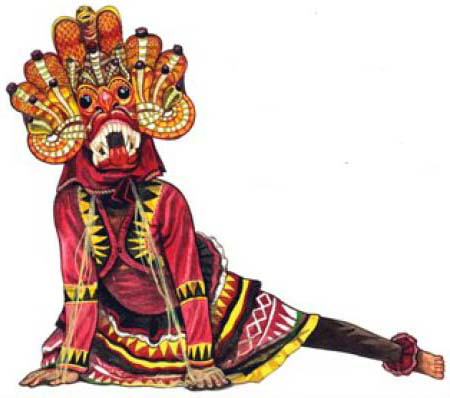 Another unique form of dance, called the mask dance, is a flurry of colour, fabric and feathers as performers wear masks depicting different kinds of birds, demons and reptiles. It’s possible to watch these unique dance forms in the UAE on Sri Lanka’s National Day, which falls on February 4, and during the Vesak festival in May. The events are free to the public. Sri Lanka is home to green mountains, autorickshaws, tea plantations, and elephants! 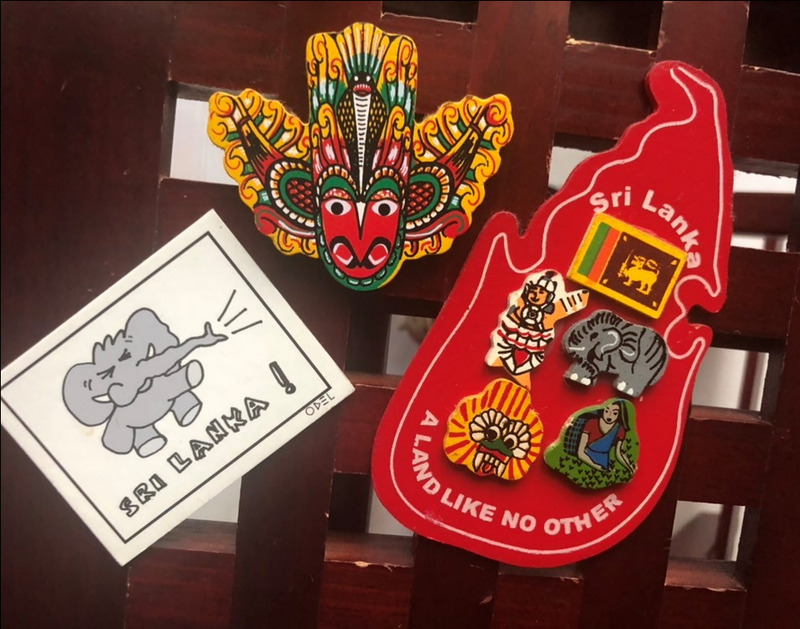 If you’ve ever wondered why most Sri Lankan souveniers and products have elephant motifs on them, the reason is deeply rooted in their history. While they don’t have any religious significance, Dubai resident Dhammika Gamage told Gulf news that from ancient times, elephants have been a big part of the King’s court. Since elephants and people share a close relationship, a lot of artifacts, souvenirs, mats and clothes have elephants incorporated in them. According to the World Wildlife Fund, the Sri Lankan subspecies of elephants are the darkest Asian elephants, and have patches of no skin colour, especially on their ears, face, trunk and belly. The Esala Perahera festival, which takes place in Kandy, is held towards the end of July, beginning of August. It is celebrated to honour the Sacred Tooth Relic (the relic of the tooth of the Buddha) and the procession seeks blessings from the deities to enrich the land. Gamage said: “Elephants are used to carry the sacred tooth through the city of Kandy, and according to reports, is considered the most “beautiful pageant in Asia”. Dhammika added that since people are so fond of these creatures, there is a law in place, which protects these elephants and killing one is punishable by death. 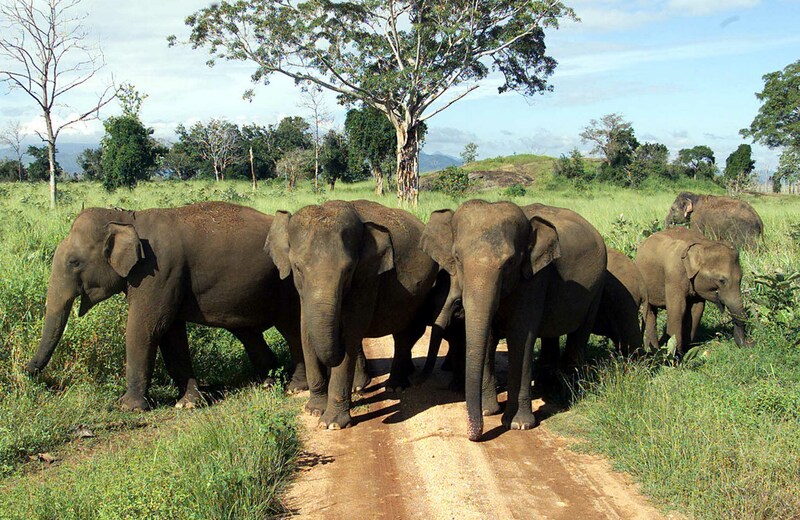 In Sri Lanka, there is an elephant orphanage and other reserves, which are popular tourist destinations. 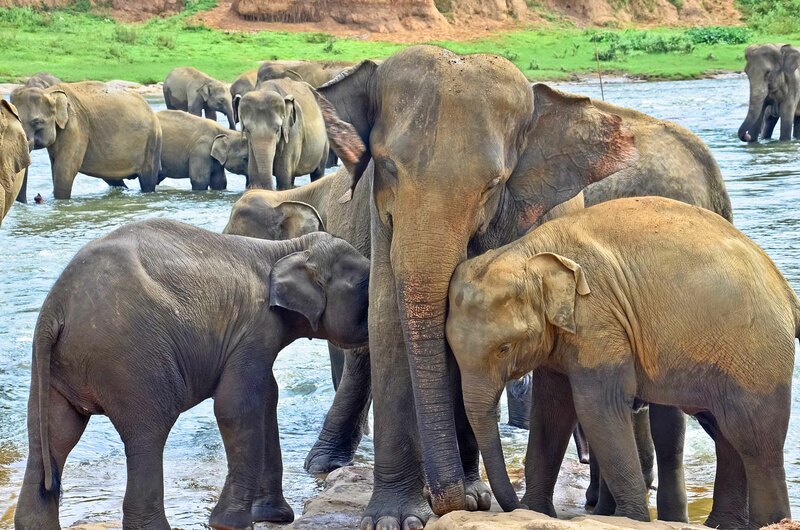 If you love elephants, Sri Lanka is definitely the place to go. Even the loudest vuvuzela can’t hold a match to Sri Lanka’s papare bands. If there’s a cricket match involving the Sri Lankan international team, look across the stadium... you are bound to find a band of cheerful musicians, blowing the trumpet and singing to the rhythm of their drums. Their infectious beats are a hallmark at sporting events, especially when it comes to the sport they are crazy about – cricket. The community squanders no opportunity to pick up a bat and ball. Sri Lankans have a long history with the sport, in the UAE. Back in the 1970s, when there were just a handful of Sri Lankans in the UAE, one of the oldest families to have settled in the country – the Manamperi family – invited everyone interested to their large Dubai villa over the weekend. There, young Sri Lankan sports enthusiasts spent their days playing cricket, bonding and building a network. That community spirit set the foundation for one of UAE’s first cricket clubs – in 1977, Milton Manamperi and Jayawardene formed the Lanka Lions. Over 40 years later, it has made its mark as a prestigious sports club, with over 350 active members, and has diversified to include other sports and activities. The Lions’ rugby team has participated in Dubai Rugby Sevens, and their women’s team has won netball championships. Another Sri Lankan in the UAE, Presley Polonnowita, is responsible for creating the largest cricket academy in the UAE. A former youth player, Polonnowita, launched the Desert Cubs Cricket Academy (DCCA) in 2007, by coaching a group of 10 youngsters. Since then, the academy has grown and now provides training to around 600 young girls and boys, of various nationalities. It also teaches badminton, swimming and athletics. Today, sports-loving Sri Lankans are an integral part of the cricket fraternity in the UAE. The two formally recognised, registered Sri Lankan organisations in the UAE are the Sri Lanka Business Council and the Sri Lanka Welfare Association – Sahana. Formed in 1991, the Sri Lanka Business Council comprises entrepreneurs and senior professionals from the country, in the UAE, along with a number of organisations interested in Sri Lankan business. Sahana, on the other hand, was formed in 2012 as a volunteer-based organisation, with the core focus of addressing grievances and helping Sri Lankan expatriates, who are in need of aid. Membership is open to all Sri Lankan residents in the UAE with a valid UAE visa.